The Versailles Marble Mantel offers warmth and elegance to any home. With less leaf and floral carvings then most of the other similar French models, there are still angled legs, a shell on the frieze, and scrolls. But the feel is more contemporary for those who want a French design without too much going on. This is a great white marble fireplace mantel design that has been trending for hundreds of years. 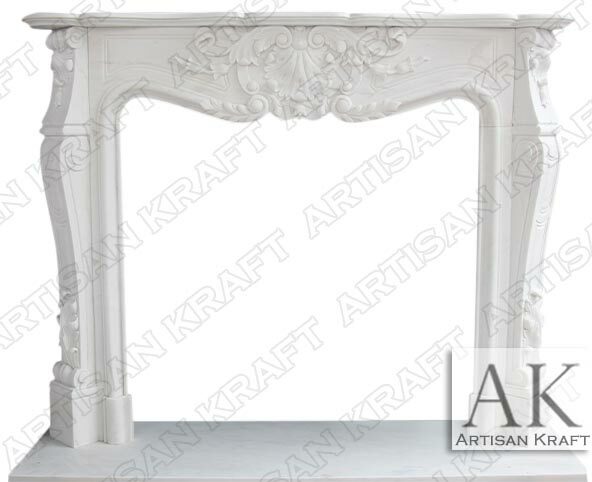 Buy this white mantel surround from store showroom. Typical Dimensions: 64″ wide x 48″ high *can be made to custom dimensions.